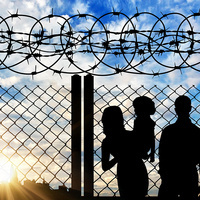 When it comes to immigration and crime, the current political zeitgeist and public sentiment suggest immigrants are far more likely to engage in illegal acts than those who are American born. But is this narrative based in fact or is it merely fiction? Join the ChangeMakers and Professor Charis Kubrin as she reveals her compelling research, along with the latest data, regarding our newest neighbors from around the globe.